Rentalorry has a range of affordable moving truck rental services that can easily meet your budget. With our movers, we can help make your office or home relocation a smooth and efficient process. The transport service includes only the vehicle and the driver. Just let us know the pick up location! Moving can be a huge project and can get messy, but with our moving truck rentals, we aim to provide you with our best services to help make your move more comfortable. Whether you are moving residential property such as furniture to a new home or storage, or commercial office equipment like tables and chairs to a new location, we can provide cheap moving truck that suits your needs to relocate your possessions safely and efficiently. Moving trucks are handy as they enable transportation of many and/or large items in a single vehicle, or two, to one or multiple locations. Needless to say, moving trucks are thus more efficient than using a van or car. 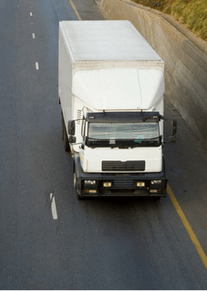 They also save time and effort and reduce chances of items going missing or lost than if the moving process was dragged on due to the need to double back and forth if one were to use a smaller vehicle instead. We needed help with the moving of some of our furniture because they could not fit into our car. The driver and truck arrived punctually and helped us with the loading of the furniture. There was no damage to the furniture during the transportation journey. Good job. Rentalorry definitely did a great job for us. Charlotte was also very helpful in arranging a last minute transport because the truck that we requested for was a little too small. Thanks! 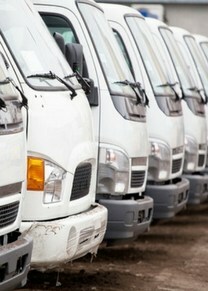 Looking for a daily truck rental or a long term truck rental? Rentalorry has a wide range of rental packages that can definitely suit your needs. Our rental rates are affordable and also cover other important factors like insurance and maintenance costs. If you need help packing and moving your belongings, this service would be the most suitable. Just let us know what you need help with so that we can provide you a quote that is competitive and cheap. This is one of the most popular and affordable options for people who only want to use the truck. Instead of renting the truck for the entire day, our drivers will take care of all the driving for you so that you don’t have to worry about returning the vehicle too! Despite the competitive market for rental vehicles in Singapore, customers should not be too concerned about expensive rent because at Rentalorry, we allow cheap and affordable of our moving trucks that can fit your budget. To suit our clients’ operational or business needs, we have a variety of sizes for our moving trucks at 10 , 14, 20 or 24 feet long, to accommodate even bulky or large items and thus ensure a comfortable and safe move. In addition, our drivers are well-experienced in moving and will provide only the best customer service in aiding you to move your items from one location to the next. To further facilitate your moving process, we also do have trolleys or packing boxes should you require them. If you need assistance with moving or packing your items, we do have experienced and reliable packers and movers for hire as well. With the help of our experienced staff and well-serviced equipment, renting a moving truck from Rentalorry will not only ensure a quality movement of your property or equipment to your desired location(s), but will also serve to provide a comfortable and stress-free moving experience with us. Should you have any inquiries regarding our moving truck rental, do contact us and we will see how best we can help you and aid in providing a memorable experience with us.